Toulouse sausage meat, a few herbs and top quality tomatoes is all Henry Harris needs to create this heavenly dish. 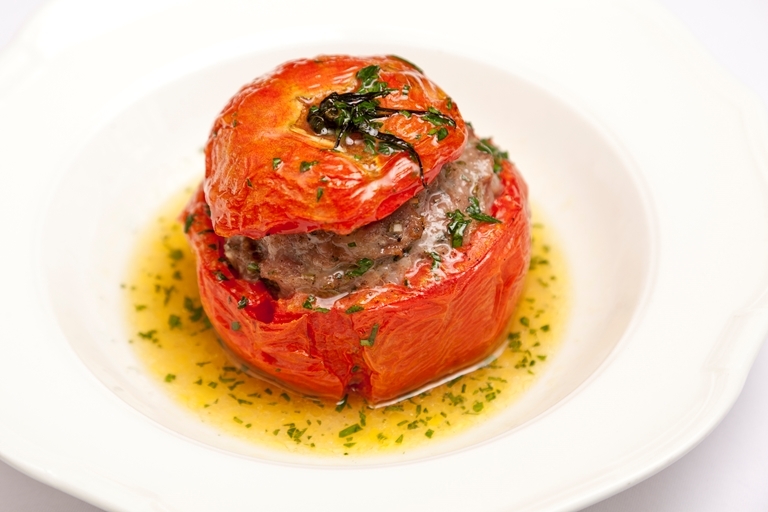 Henry prefers the Sicilian Vesuvio variety for this tomato farcies recipe, but large bull's heart tomatoes will work just as well. Henry Harris’s cuisine recalls the fine traditions of French bourgeois cooking with affection and generosity.